For other uses, see Nokia (disambiguation). Nokia Corporation (commonly referred to as Nokia; UK: /ˈnɒkiə/, US: /ˈnoʊkiə/, Finnish: [ˈnokiɑ]) is a Finnish multinational telecommunications, information technology, and consumer electronics company, founded in 1865. Nokia's headquarters are in Espoo, in the greater Helsinki metropolitan area. In 2017, Nokia employed approximately 102,000 people across over 100 countries, did business in more than 130 countries, and reported annual revenues of around €23 billion. Nokia is a public limited company listed on the Helsinki Stock Exchange and New York Stock Exchange. It is the world's 415th-largest company measured by 2016 revenues according to the Fortune Global 500, having peaked at 85th place in 2009. It is a component of the Euro Stoxx 50 stock market index. The company has had various industries in over 150 years. It was founded as a pulp mill and had long been associated with rubber and cables, but since the 1990s focuses on large-scale telecommunications infrastructures, technology development, and licensing. Nokia is a notable major contributor to the mobile telephony industry, having assisted in the development of the GSM, 3G and LTE standards (and currently in 5G), and is best known for having been the largest worldwide vendor of mobile phones and smartphones for a period. After a partnership with Microsoft and market struggles, its mobile phone business was eventually bought by the former, creating Microsoft Mobile as its successor in 2014. 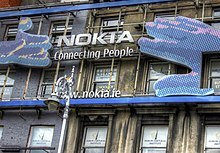 After the sale, Nokia began to focus more extensively on its telecommunications infrastructure business and on the Internet of things, marked by the divestiture of its Here mapping division and the acquisition of Alcatel-Lucent, including its Bell Labs research organization. The company then also experimented with virtual reality and digital health, the latter through the purchase of Withings. The Nokia brand has since returned to the mobile and smartphone market through a licensing arrangement with HMD Global. Nokia continues to be a major patent licensor for most large mobile phone vendors. As of 2018 Nokia is the world's third largest network equipment manufacturer. The company was viewed with national pride by Finns, as its successful mobile phone business made it by far the largest worldwide company and brand from Finland. At its peak in 2000, during the telecoms bubble, Nokia alone accounted for 4% of the country's GDP, 21% of total exports, and 70% of the Helsinki Stock Exchange market capital. Nokia's history dates back to 1865, when Finnish-Swede mining engineer Fredrik Idestam established a pulp mill near the town of Tampere, Finland (then in the Russian Empire). A second pulp mill was opened in 1868 near the neighboring town of Nokia, offering better hydropower resources. In 1871, Idestam, together with friend Leo Mechelin, formed a shared company from it and called it Nokia Ab (in Swedish, Nokia Company being the English equivalent), after the site of the second pulp mill. Idestam retired in 1896, making Mechelin the company's chairman. Mechelin expanded into electricity generation by 1902 which Idestam had opposed. In 1904 Suomen Gummitehdas (Finnish Rubber Works), a rubber business founded by Eduard Polón, established a factory near the town of Nokia and used its name. In 1922, Nokia Ab entered into a partnership with Finnish Rubber Works and Kaapelitehdas (the Cable Factory), all now jointly under the leadership of Polón. Finnish Rubber Works company grew rapidly when it moved to the Nokia region in the 1930s to take advantage of the electrical power supply, and the cable company soon did too. Nokia at the time also made respirators for both civilian and military use, from the 1930s well into the early 1990s. In 1967, the three companies - Nokia, Kaapelitehdas and Finnish Rubber Works - merged and created a new Nokia Corporation, a new restructured form divided into four major businesses: forestry, cable, rubber and electronics. In the early 1970s, it entered the networking and radio industry. Nokia also started making military equipment for Finland's defence forces (Puolustusvoimat), such as the Sanomalaite M/90 communicator in 1983, and the M61 gas mask first developed in the 1960s. Nokia was now also making professional mobile radios, telephone switches, capacitors and chemicals. After Finland's trade agreement with the Soviet Union in the 1960s, Nokia expanded into the Soviet market. It soon widened trade, ranging from automatic telephone exchanges to robotics among others; by the late 1970s the Soviet Union became a major market for Nokia, helping to yield high profits. Nokia also co-operated on scientific technology with the Soviet Union. The U.S. government became increasingly suspicious of that technologic co-operation after the end of the Cold War détente in the early 1980s. 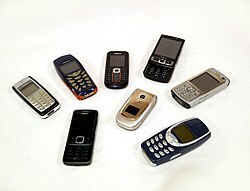 Nokia imported many US-made components and used them for the Soviets, and according to U.S. Deputy Minister of Defence, Richard Perle, Nokia had a secret co-operation with The Pentagon that allowed the U.S. to keep track in technologic developments in the Soviet Union through trading with Nokia. However this was a demonstration of Finland trading with both sides, as it was neutral during the Cold War. In 1977, Kari Kairamo became CEO and he transformed the company's businesses. By this time Finland were becoming what has been called "Nordic Japan". Under his leadership Nokia acquired many companies. In 1984, Nokia acquired television maker Salora, followed by Swedish electronics and computer maker Luxor AB in 1985, and French television maker Oceanic in 1987. This made Nokia the third-largest television manufacturer of Europe (behind Philips and Thomson). The existing brands continued to be used until the end of the television business in 1996. In 1987, Nokia acquired Schaub-Lorenz, the consumer operations of Germany's Standard Elektrik Lorenz (SEL), which included its "Schaub-Lorenz" and "Graetz" brands. It was originally part of American conglomerate International Telephone & Telegraph (ITT) and after the acquisition products were sold under the "ITT Nokia" brand, despite SEL's sale to Compagnie Générale d'Electricité (CGE), the predecessor of Alcatel, in 1986. 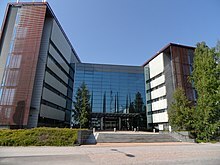 On 1 April 1988 Nokia bought the computer division of Ericsson's Information Systems, which originated as a computer division of Swedish aircraft and car manufacturer Saab called Datasaab. Ericsson Information Systems made Alfaskop terminals, typewriters, minicomputers and Ericsson IBM compatible PCs. The merge with Nokia's existing Information Systems division—which already had a line of personal computers called MikroMikko since 1981—resulted in the name Nokia Data. Nokia also acquired Mobira, a mobile telephony company, which was the foundation of its future mobile phones business. In 1981, Mobira launched the Nordic Mobile Telephone (NMT) service, the world's first international cellular network and the first to allow international roaming. In 1982, Mobira launched the Mobira Senator car phone, Nokia's first mobile phone. At that time, the company had no interest in producing mobile phones, which the executive board regarded as akin to James Bond's gadgets - improbably futuristic and niche devices. After all these acquisitions Nokia's revenue base became US$2.7 billion. Tragically CEO Kairamo committed suicide on 11 December 1988. In 1987, Kaapelitehdas discontinued production of cables at its Helsinki factory after 44 years, effectively shutting down the sub-company. Following Simo Vuorilehto's appointment as CEO, a major restructuring was planned. With 11 groups within the company, Vuorilehto divested industrial units he deemed as un-strategic. Nokian Tyres (Nokian Renkaat), a tyre producer originally formed as a division of Finnish Rubber Works in 1932, split away from Nokia Corporation in 1988. Two years later, in 1990, Finnish Rubber Works followed suit. 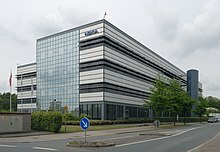 In 1991 Nokia sold its computer division, Nokia Data, to UK-based International Computers Limited (ICL), the precursor of Fujitsu Siemens. Investors thought of this as financial trouble and Nokia's stock price sank as a result. Finland was now also experiencing its worst recession in living memory, and the collapse of the Soviet Union, a major customer, made matters worse. Vuorilehto quit in January 1992 and was replaced by Jorma Ollila, who had been the head of the mobile phone business from 1990 and advised against selling that division. Ollila decided to turn Nokia into a 'telecom-oriented' company, and he eventually got rid of divisions like the power business. This strategy proved to be very successful and the company grew rapidly in the following years. Nokia's operating profit went from negative in 1991 to $1 billion in 1995 and almost $4 billion by 1999. Nokia's first fully portable mobile phone after the Mobira Senator was the Mobira Cityman 900 in 1987. Nokia assisted in the development of the GSM mobile standard in the 1980s, and developed the first GSM network with Siemens, the predecessor to Nokia Siemens Network. The world's first GSM call was made by Finnish prime minister Harri Holkeri on 1 July 1991, using Nokia equipment on the 900 MHz band network built by Nokia and operated by Radiolinja. In November 1992, the Nokia 1011 launched, making it the first commercially available GSM mobile phone. Salora Oy as a Nokia subsidiary ended in 1989 when the division was merged into Nokia-Mobira Oy. The brand continued to be used for televisions until 1995. On 12 June 1996, Nokia announced the sale of its television business to Canada/Hong Kong-based Semi-Tech Corporation. The television manufacturing plant in Germany closed down in September 1996. The sale included a factory in Turku, and the rights to use the Nokia, Finlux, Luxor, Salora, Schaub-Lorenz and Oceanic brands until the end of 1999. Some of these brands were later sold to other companies. Nokia was the first to launch digital satellite receivers in the UK, announced in March 1997. In August 1997 Nokia introduced the first digital satellite receiver with Common Interface (CI) support. 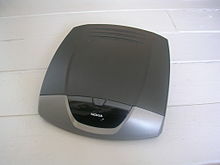 In 1998 Nokia became the chosen supplier to produce the world's first digital terrestrial television set-top boxes by British Digital Broadcasting (BDB), which was eventually launched as ONdigital. In October 1998, Nokia overtook Motorola to become the best-selling mobile phone brand, and in December manufactured its 100 millionth mobile phone. A major reason why Nokia grew against its main competitors Motorola and Ericsson was that it managed to cater to the consumer youth market and fashion-oriented consumers, most significantly with the Nokia 5110 and 3210 handsets which featured a large range of colourful and replacable back-covers called Xpress-on. One of the earliest fashion phones in 1992, from Swiss watchmaker Swatch, was based on Nokia's 101 handset. The company would also form the Vertu division, creating luxury mobile handsets. Nokia claimed in April 1996 its 447Xav and 447K monitors to be the first with stereo speakers and a sub-woofer. 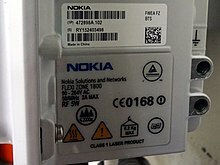 In May 1999 Nokia introduced their first wireless LAN products. In January 2000 ViewSonic acquired Nokia Display Products, the division making displays for personal computers. On 26 April 2001 Nokia partnered with Telefonica to supply DSL modems and routers in Spain. In 1998, Nokia co-founded Symbian Ltd. led by Psion to create a new operating system for PDAs and smart mobile phones as a successor of EPOC32. They released the Nokia 9210 Communicator running Symbian OS in 2001 and later that year created the Symbian Series 60 platform, later introducing it with their first camera phone, the Nokia 7650. Both Nokia and Symbian eventually became the largest smartphone hardware and software maker respectively, and in February 2004 Nokia became the largest shareholder of Symbian Ltd. Nokia acquired the entire company in June 2008 and then formed the Symbian Foundation as its successor. In 1998 alone, the company had sales revenue of $20 billion making $2.6 billion profit. By 2000 Nokia employed over 55,000 people, and had a market share of 30% in the mobile phone market, almost twice as large as its nearest competitor, Motorola. The company was operating in 140 countries as of 1999. It was reported at the time that some people believed Nokia to be a Japanese company. Between 1996 and 2001, Nokia's turnover increased fivefold, from €6.5 billion to €31 billion. The company would then be known as a successful and innovative maker of camera phones. The Nokia 3600/3650 was the first camera phone on sale in North America in 2003. In April 2005 Nokia partnered with German camera optics maker Carl Zeiss AG. That same month Nokia introduced the Nseries, which would become its flagship line of smart phones for the next six years. The Nokia N95 introduced in September 2006 became highly successful and was also awarded as "best mobile imaging device" in Europe in 2007. Its successor the N82 featured a xenon flash, which helped it win the award of "best mobile imaging" device in Europe in 2008. The N93 in 2006 was known for its specialized camcorder and the twistable design that switches between clamshell and a camcorder-like position. They were also well known for the N8 with a high resolution 12-megapixel sensor in 2010; the 808 PureView in 2012 with a 41-megapixel sensor; and the Lumia 920 flagship in 2012 which implemented advanced PureView technologies. Nokia was one of the pioneers of mobile gaming due to the popularity of Snake, which came pre-loaded on many products. In 2002, Nokia attempted to break into the handheld gaming market with the N-Gage. Nokia's head of entertainment and media, Ilkka Raiskinen, once quoted "Game Boy is for 10-year-olds", stating that N-Gage is more suited to a mature audience. However, the device was a failure, unable to challenge the dominant market leader Nintendo. Nokia attempted to revive N-Gage as a platform for their S60 smartphones, which eventually launched in 2008. In Q1 2004, Nokia's mobile phone handset market share steeply dropped to 28.9%, down from 34.6% a year earlier. However by 2006 the company was steadily gaining again and in Q4 2007 reached its all-time high figure of 40.4%. Its smartphone market share in that quarter was 51%. Nokia was the largest vendor at the time in all regions bar North America. Nokia launched mobile TV trials in 2005 in Finland with content provided by public broadcaster Yle. The services are based on the DVB-H standard. It could be viewed with the widescreen Nokia 7710 smartphone with a special accessory enabling it to receive DVB-H signals. Nokia partnered with Arqiva and O2 to launch trials in the UK in September 2005. In 2005 Nokia developed a Linux-based operating system called Maemo, which shipped that year on the Nokia 770 Internet Tablet. On 1 June 2006, Jorma Ollila became the company's chairman and retired as CEO, replaced by Olli-Pekka Kallasvuo. In August 2007, Nokia introduced Ovi, an umbrella name for the company's new Internet services which included the N-Gage platform and the Nokia Music Store. The Ovi Store faced stiff competition against Apple's App Store when it was introduced in 2008. In October 2008 Nokia announced the Nokia 5800 XpressMusic, the first device to ship with the new touch-centric S60 5th Edition, also known as Symbian^1, the first iteration of the platform since the creation of the Symbian Foundation. In November 2008 Nokia announced it would end mobile phone sales in Japan because of low market share. Nokia's global mobile phone market share peaked in 2008 at 38.6 percent. The same year, Nokia announced the acquisition of Trolltech and its Qt software development. Qt was a central part of Nokia's strategy until 2011, and it was eventually sold in 2012. Nokia briefly returned to the computer market with the Booklet 3G netbook in August 2009. In late 2009 and in 2010, the music-focused Xseries and consumer-focused Cseries were introduced respectively. In April 2010 Nokia introduced its next flagship mobile device, the Nokia N8, which would be the first to run on Symbian^3. However it was delayed for many months which tarnished the company's image, especially after the failure of its previous flagship N97 and tougher competition from Apple and the rising Google. On 10 September 2010, Olli-Pekka Kallasvuo was fired as CEO and it was announced that Stephen Elop from Microsoft would take Nokia's CEO position, becoming the first non-Finnish director in Nokia's history. It as claimed that investors pressed Nokia's board to recruit an outsider to shake up management and break from the traditional "Nokia way". 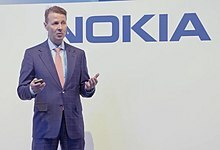 Ollila had also announced that he would step down as Nokia chairman by 2012. On 11 March 2011 Nokia announced that it had paid Elop a $6 million signing bonus as "compensation for lost income from his prior employer", on top of his $1.4 million annual salary. 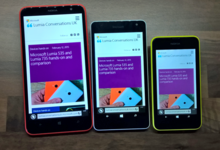 Nokia and Microsoft Lumia devices. The old Symbian OS became completely open source in February 2010. However, in November 2010 it was announced that the Symbian Foundation was closing and that Nokia would take back control of the Symbian operating system under closed licensing. By now Nokia was the only remaining company using the platform, along with carrier NTT DoCoMo in Japan, after both Samsung and Sony Ericsson moved to Android. Meanwhile, in 2010 for Nokia's Linux ambitions, Nokia collaborated with Intel to form the MeeGo project, after the merger of Nokia's own Maemo and Intel's Moblin. Nokia's Symbian platform that had been the leading smartphone platform in Europe and Asia for many years was quickly becoming outdated and difficult for developers after the advent of iOS and Android. To counter this, Nokia planned to make their MeeGo Linux operating system, under development, the company's flagship on smartphones. Shortly after Elop's CEO tenure began, the Nokia board green-lit him the ability to change the company's mobile phones strategy, including changing operating systems. Veteran Anssi Vanjoki, head of the smartphones division, left the company around this time. His final appearance was at Nokia World 2010 when the Nokia E7 and other Symbian^3 devices were introduced. On 11 February 2011, Nokia announced a "strategic partnership" with Microsoft, under which it would adopt Windows Phone 7 as its primary operating system on smartphones, and integrate its services and platforms with its own, including Bing as search engine, and integration of Nokia Maps data into Bing Maps. Elop stated that Nokia chose not to use Android because of an apparent inability to "differentiate" its offerings, with critics also noting that his past ties to Microsoft may have also influenced the decision. Although the MeeGo "Harmattan"-based N9 was met with a highly positive reception in 2011, Nokia had already decided to end development on MeeGo and solely focus on its Microsoft partnership, although the CEO said that the N9's "innovations" will live on in the future, which eventually made their way on the Asha platform in 2013. After the announcement of the Microsoft partnership, Nokia's market share deteriorated; this was due to demand for Symbian dropping when consumers realized Nokia's focus and attention would be elsewhere. The company posted a large loss for the second quarter of 2011 - only their second quarterly loss in 19 years. Nokia's first Windows Phone flagship was the Lumia 800, which arrived in November 2011. Falling sales in 2011, which were not being improved significantly with the Lumia line in 2012, led to consecutive quarters of huge losses. By mid-2012 the company's stock price fell below $2. CEO Elop announced cost-cutting measures in June by shedding 10,000 employees by the end of the year and the closure of the Salo manufacturing plant. The Finnish prime minister also announced that the government won't save the company from an emergency state fund. Around this time Nokia started a new project codenamed "Meltemi", a platform for low-end smartphones. With the Microsoft alliance and under Elop's management, Nokia also had a renewed focus on the North American market where Nokia phones were, in stark contrast to the rest of the world, almost irrelevant for many years. This strategy began in January 2012 with the introduction of the Nokia Lumia 900 smartphone in partnership with U.S. carrier AT&T. In March 2011, Nokia introduced a new corporate typeface called "Pure". On 1 August 2011, Nokia announced that it would adopt a new three-digit naming system for mobile phone products and stop using letters, effectively ending the Nseries, Eseries, and short-lived Cseries. That same day the Nokia 500 was introduced with the new system. Nokia last used three-digit names on analogue phones in the 1990s. When the Lumia 920 was announced in September 2012, it was seen by the press as the first high-end Windows Phone that could challenge rivals due to its advanced feature set. Elop said that the positive reaction to it had created a sense of hope and optimism in the company. The company was also making gains in developing countries with its Asha series, which were selling strongly. Although Nokia's smartphone sales and market share greatly increased throughout 2013, including in the North American market, it was still not enough to avoid financial losses. Ollila stepped down as chairman on 4 May 2012 and was replaced by Risto Siilasmaa. In September 2013 Nokia announced the sale of its mobile and devices division to Microsoft. The sale was positive for Nokia to avoid further negative financial figures, as well as for Microsoft's CEO Steve Ballmer, who wanted Microsoft to produce more hardware and turn it into a devices and services company. The Nokia chairman, Risto Siilasmaa, described the deal as rationally correct (in the best interests of Nokia shareholders), but emotionally difficult - experts agree that Nokia would have been in a cash crisis had it not sold the division to Microsoft. Analysts believe that Ballmer pushed for the buyout because of fears that Nokia was close to adopting Android and abandoning their alliance with Microsoft. There had been speculation for long that Nokia was experimenting with Android at the time. Indeed, in January 2014 the Nokia X was introduced which ran on a customised version of Android. It was a surprising and somewhat odd launch coming just weeks away from the finalisation of the Microsoft buyout. Others, including Ballmer's successor Satya Nadella, felt that Microsoft thought merging their software teams with Nokia's hardware engineering and designs would "accelerate" growth of Windows Phone. The sale was completed in April 2014, with Microsoft Mobile becoming the successor to Nokia's mobile devices division. Nokia also moved from its headquarters to another building complex located at Karaportti. At the time, Ballmer himself was retiring as Microsoft CEO and was replaced by Satya Nadella, who opposed the Nokia mobile phones purchase, along with chairman Bill Gates. The purchased assets from Nokia were eventually written-off by Microsoft in 2015. By 2014, Nokia's global brand value according to Interbrand fell to 98th place, a sharp slide from the 5th place it was in 2009. Nokia's downfall in the mobile phone market has had different explanations from analysts, with many split about the CEO's decision to abandon its in-house operating system and adopting Windows Phone in 2011. Many researchers have concluded that Nokia suffered from deep internal rivalries within the management. Former employees claimed that the management became so swollen by the early success that they grew complacent over time. Some from the Symbian developing team have claimed that the company's upper management rejected hundreds of potential innovations during the 2000s that they proposed, including entirely rewriting Symbian's code. One former Nokia employee claimed that the company was run as a "Soviet-style bureaucracy". In July 2013, Nokia bought Siemens' stake in the Nokia Siemens Networks joint venture for $2.2 billion, turning it into a wholly owned subsidiary called Nokia Solutions and Networks, until being rebranded as Nokia Networks soon after. During Nokia's financial struggles, its profitable networking division with Siemens provided much of its income; thus, the purchase proved to be positive, particularly after the sale of its mobile devices unit. After the sale of its mobile devices division, Nokia focused on network equipment through Nokia Networks. In October 2014, Nokia and China Mobile signed a US$970 million framework deal for delivery between 2014 and 2015. On 17 November 2014, Nokia Technologies head Ramzi Haidamus disclosed that the company planned to re-enter the consumer electronics business as an original design manufacturer, licensing in-house hardware designs and technologies to third-party manufacturers. Haidamus stated that the Nokia brand was "valuable" but "is diminishing in value, and that's why it is important that we reverse that trend very quickly, imminently". The next day, Nokia unveiled the N1, an Android tablet manufactured by Foxconn, as its first product following the Microsoft sale. Haidamus emphasized that devices released under these licensing agreements would be held to high standards in production quality, and would "look and feel just like Nokia built it". Nokia CEO Rajeev Suri stated that the company planned to re-enter the mobile phone business in this manner in 2016, following the expiration of its non-compete clause with Microsoft. According to Robert Morlino, the spokesman of Nokia Technologies, Nokia planned follow the brand-licensing model rather than direct marketing of mobile devices due to the sale of its mobile devices division to Microsoft. The company took aggressive steps to revitalize itself, evident through its hiring of software experts, testing of new products and seeking of sales partners. On 14 July 2015, CEO Rajeev Suri confirmed that the company would make a return to the mobile phones market in 2016. On 28 July 2015, Nokia announced OZO, a 360-degrees virtual reality camera, with eight 2K optical image sensors. The division behind the product, Nokia Technologies, claimed that OZO would be the most advanced VR film-making platform. Nokia's press release stated that OZO would be "the first in a planned portfolio of digital media solutions," with more technologic products expected in the future. OZO was fully unveiled on 30 November in Los Angeles. The OZO, designed for professional use, was intended for retail for US$60,000; however, its price was decreased by $15,000 prior to release, and is listed on its official website as $40,000. On 14 April 2015, Nokia confirmed that it was in talks with the French telecommunications equipment company Alcatel-Lucent regarding a potential merger. The next day, Nokia announced that it had agreed to purchase Alcatel-Lucent for €15.6 billion in an all-stock deal. CEO Rajeev Suri felt that the purchase would give Nokia a strategic advantage in the development of 5G wireless technologies. The acquisition created a stronger competitor to the rival firms Ericsson and Huawei, whom Nokia and Alcatel-Lucent had surpassed in terms of total combined revenue in 2014. Nokia shareholders hold 66.5% of the new combined company, while Alcatel-Lucent shareholders hold 33.5%. The Bell Labs division was to be maintained, but the Alcatel-Lucent brand would be replaced by Nokia. In October 2015, following approval of the deal by China's Ministry of Commerce, the merger awaited approval by French regulators. Despite the initial intent of selling the submarine cable division separately, Alcatel-Lucent later declared that it would not. The merger closed on 14 January 2016, but was not complete until 3 November 2016. From the acquisition Nokia is now also the owner of the Alcatel mobile phone brand, which continues to be licensed to TCL Corporation. On 3 August 2015, Nokia announced that it had reached a deal to sell its Here digital maps division to a consortium of BMW, Daimler AG and Volkswagen Group for €2.8 billion. The deal closed on 3 December 2015. On 26 April 2016, Nokia announced its intent to acquire French connected health device maker Withings for US$191 million. The company was integrated into a new Digital Health unit of Nokia Technologies. Nokia later wrote off the cost of the acquisition and in May 2018 the health unit was sold back to Éric Carreel, a Withings co-founder and former CEO. On 18 May 2016, Microsoft Mobile sold its Nokia-branded feature phone business to HMD Global, a new company founded by former Nokia executive Jean-Francois Baril, and an associated factory in Vietnam to Foxconn's FIH Mobile subsidiary. Nokia subsequently entered into a long-term licensing deal to make HMD the exclusive manufacturer of Nokia-branded phones and tablets outside Japan, operating in conjunction with Foxconn. The deal also granted HMD the right to essential patents and featurephone software. 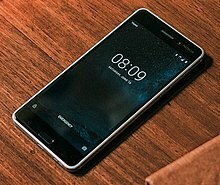 HMD subsequently announced the Android-based Nokia 6 smartphone in January 2017. At Mobile World Congress, HMD additionally unveiled the Nokia 3 and Nokia 5 smartphones, as well as a re-imagining of Nokia's classic 3310 feature phone. While Nokia has no investment in the company, they do have some input in the new devices. On 28 June 2016 Nokia demonstrated for the first time a 5G-ready network. In February 2017 Nokia carried out a 5G connection in Oulu, Finland using the 5GTF standard, backed by Verizon, on Intel architecture-based equipment. In 2017, Nokia's brand value jumped 147 places to 188th place compared to 2016 in the Brand Finance ranking. Its rise was attributed to its health portfolio and new mobile phones developed by HMD Global. On 19 January 2018, Nokia signed a deal with NTT Docomo, Japan's largest mobile operator, to provide 5G wireless radio base stations in the country by 2020. On 29 January 2018, Nokia introduced the ReefShark line of 5G chipsets, claiming that it triples bandwidth to 84 Gbit/s. It will be released by Q3 2018. It also incorporates artificial intelligence technologies from Bell Labs. On 13 March 2018, Solidium, the investment arm of the Finnish government, purchased a 3.3% stake in Nokia valued at €844 million. On 7 May 2018, Nokia announced that it has acquired a California-based IoT startup, SpaceTime Insight. In January 2019, the Canadian government announced that it will provide C$40 million to support Nokia's research on 5G technology. Nokia is a public limited-liability company listed on the Helsinki and New York stock exchanges. Nokia has played a very large role in the economy of Finland, and it is an important employer in the country, working with multiple local partners and subcontractors. Nokia contributed 1.6% to Finland's GDP and accounted for about 16% of the country's exports in 2006. Nokia comprises two business groups along with further subsidiaries and affiliated firms. Nokia Networks is Nokia Corporation's largest division. It is a multinational data networking and telecommunications equipment company headquartered in Espoo, Finland, and is the world's third-largest telecoms equipment manufacturer, measured by 2017 revenues (after Huawei and Cisco). In USA it competes with Ericsson on building 5G networks for operators, while Huawei Technologies and ZTE Corporation were effectively banned. It has operations in around 150 countries. Nokia Networks provides wireless and fixed network infrastructure, communications and networks service platforms and professional services to operators and service providers. It focuses on GSM, EDGE, 3G/W-CDMA, LTE and WiMAX radio access networks, supporting core networks with increasing IP and multiaccess capabilities and services. The Nokia Siemens Networks (NSN) brand identity was launched at the 3GSM World Congress in Barcelona in February 2007 as a joint venture between Nokia (50.1%) and Siemens (49.9%), although it is now wholly owned by Nokia. In July 2013, Nokia bought back all shares in Nokia Siemens Networks for a sum of US$2.21 billion and renamed it to Nokia Solutions and Networks, shortly thereafter changed to simply Nokia Networks. Nokia Technologies is a division of Nokia that develops consumer products and licenses technology including the Nokia brand. Its focuses are imaging, sensing, wireless connectivity, power management and materials, and other areas such as the IP licensing program. It consists of three labs: Radio Systems Lab, in areas of radio access, wireless local connectivity and radio implementation; Media Technologies Lab, in areas of multimedia and interaction; and Sensor and Material Technologies Lab, in areas of advanced sensing solutions, interaction methods, nanotechnologies and quantum technologies. Nokia Technologies also provides public participation in its development through the Invent with Nokia program. It was created in 2014 following a restructuring of Nokia Corporation. In November 2014, Nokia Technologies launched its first product, the Nokia N1 tablet computer. In July 2015, Nokia Technologies introduced a VR camera called OZO, designed for professional content creators and developed in Tampere, Finland. With its 8 synchronized shutter sensors and 8 microphones, the product can capture stereoscopic 3D video and spatial audio. On 31 August 2016, Ramzi Haidamus announced he would be stepping down from his position as president of Nokia Technologies. Brad Rodrigues, previously head of strategy and business development, assumed the role of interim president. On 30 June 2017, Gregory Lee, previously CEO of Samsung Electronics in North America, was appointed Nokia Technologies CEO and president. Nokia Bell Labs is a research and scientific development firm that was once the R&D arm of the American Bell System. It became a subsidiary of Nokia Corporation after the takeover of Alcatel-Lucent in 2016. NGP Capital (formerly Nokia Growth Partners) is a global venture capital firm, focusing in investments on growth stage "Internet of things" (IoT) and mobile technology companies. NGP holds investments throughout the U.S., Europe, China and India. Their portfolio consists of companies in mobile technology including the sectors Connected Enterprise, Digital Health, Consumer IoT and Connected Car. Following a $350 million funding for IoT companies in 2016, NGP manages $1 billion worth of assets. Nokia had previously promoted innovation through venture sponsorships dating back to 1998 with Nokia Venture Partners, which was renamed BlueRun Ventures and spun off in 2005. Nokia Growth Partners (NGP) was founded in 2005 as a growth stage venture fund as a continuation of the early successes of Nokia Venture Partners. In 2017, the company was renamed to NGP Capital. NGP's largest exits include GanJi, UCWeb, Whistle, Rocket Fuel, Swype, Summit Microelectronics and Netmagic. Nuage Networks is a venture providing software-defined networking (SDN) solutions. It was formed by Alcatel-Lucent in 2013 to develop a software overlay for automating and orchestrating hybrid clouds. It has been part of Nokia following their acquisition of Alcatel-Lucent in 2016. Throughout 2017 Nuage sealed deals with Vodafone and Telefonica to provide its SD-WAN architecture to their servers. BT had already been a client since 2016. A deal with China Mobile in January 2017 also used Nuage's SDN technology for 2,000 public cloud servers at existing data centers in China, and another in October 2017 with China Pacific Insurance Company. The company is based in Mountain View, California and the CEO is Sunil Khandekar. Alcatel Mobile is a mobile phone brand owned by Nokia since 2016. It has been licensed since 2005 to Chinese company TCL when it was under the ownership of Alcatel (later Alcatel-Lucent) in a contract until 2024. HMD Global is a mobile phone company based at the same building as Nokia's headquarters in Espoo, Finland. The Nokia brand has been licensed by former Nokia employees who founded HMD Global and introduced Nokia-branded Android-based devices to the market in 2017. Nokia has no investment in the company but retains some input in the development of its devices. The control and management of Nokia is divided among the shareholders at a general meeting and the Nokia Group Leadership Team (left), under the direction of the board of directors (right). The chairman and the rest of the Nokia Leadership Team members are appointed by the board of directors. Only the chairman of the Nokia Leadership Team can belong to both the board of directors and the Nokia Group Leadership Team. The Board of Directors' committees consist of the Audit Committee, the Personnel Committee, and the Corporate Governance and Nomination Committee. The operations of the company are managed within the framework set by the Finnish Companies Act, Nokia's Articles of Association, and Corporate Governance Guidelines, supplemented by the board of directors' adopted charters. Nokia is a public limited liability company and is the oldest company listed under the same name on the Helsinki Stock Exchange, beginning in 1915. Nokia has had a secondary listing on the New York Stock Exchange since 1994. Nokia shares were delisted from the London Stock Exchange in 2003, the Paris Stock Exchange in 2004, the Stockholm Stock Exchange in 2007 and the Frankfurt Stock Exchange in 2012. Due to the acquisition of Alcatel-Lucent in 2015, Nokia listed its shares again on the Paris Stock Exchange and was included in the CAC 40 index on 6 January 2016. In 2007, Nokia had a market capitalization of €110 billion; by 17 July 2012 this had fallen to €6.28 billion, and by 23 February 2015, it increased to €26.07 billion. Nokia's official corporate culture manifesto since the 1990s is called The Nokia Way. It emphasizes the speed and flexibility of decision-making in a flat, networked organization. The official business language of Nokia is English. All documentation is written in English, and is used in official intra-company communication. In 1992, Nokia adopted values that were defined with the key words respect, achievement, renewal and challenge. In May 2007, the company redefined its values after initiating a series of discussion across its worldwide branches regarding what the new values of the company should be. Based on the employee suggestions, the new values were defined as: Engaging You, Achieving Together, Passion for Innovation and Very Human. In August 2014, Nokia redefined its values again after the sale of its Devices business, using the original 1992 values again. The former Nokia House, Nokia's head office until April 2014. The building is located by the Gulf of Finland in Keilaniemi, Espoo, and was constructed between 1995 and 1997. It was the workplace of more than 1,000 Nokia employees. Nokia are based at Karaportti in Espoo, Finland, just outside capital Helsinki. It has been their head office since 2014 after moving from the purpose-built Nokia House in Espoo as part of the sale of the mobile phone business to Microsoft. The building in Karaportti was previously the headquarters of NSN (now Nokia Networks). In 2018, Nokia received the Leading Lights award for most innovative cable/video product and was named to Ethisphere's 2018 world's most ethical companies list. Finnish Rubber Works (Suomen Kumitehdas) logo, 1965–1986. Nokia 'Arrows' logo, after merge with the Cable Factory (Kaapelitehdas) and Finnish Rubber Works (1966–1992). Used in advertising and products until c. 1997. Nokia introduced its "Connecting People" advertising slogan in 1992, coined by Ove Strandberg. New slogan typeface (Nokia Sans font) introduced in 2005. Nokia Sans had been used by Nokia in products since 2002. In 2008, Nokia Siemens Networks, a joint venture between Nokia and Siemens AG, reportedly provided Iran's monopoly telecom company with technology that allowed it to intercept the Internet communications of its citizens. The technology reportedly allowed Iran to use deep packet inspection to read and change the content of emails, social media, and online phone calls. The technology "enables authorities to not only block communication but to monitor it to gather information about individuals, as well as alter it for disinformation purposes". During the post-election protests in Iran in June 2009, Iran's Internet access was reported to have slowed to less than a tenth of its normal speeds, which experts suspected was due to use of deep packet inspection. In July 2009, Nokia began to experience a boycott of their products and services in Iran. The boycott was led by consumers sympathetic to the post-election protest movement and targeted companies deemed to be collaborating with the regime. Demand for handsets fell and users began shunning SMS messaging. Nokia Siemens Networks asserted in a press release that it provided Iran only with a "lawful intercept capability solely for monitoring of local voice calls" and that it "has not provided any deep packet inspection, web censorship, or Internet filtering capability to Iran". In 2009, Nokia heavily supported a law in Finland that allows companies to monitor their employees' electronic communications in cases of suspected information leaking. Nokia denied rumors that the company had considered moving its head office out of Finland if laws on electronic surveillance were not changed. The Finnish media dubbed the law Lex Nokia because it was implemented as a result of Nokia's pressure. The law was enacted, but with strict requirements for implementation of its provisions. No company had used its provisions prior to 25 February 2013, when the Office of Data Protection Ombudsman confirmed that city of Hämeenlinna had recently given the required notice. In October 2009, Nokia filed a lawsuit against Apple Inc. in the U.S. District Court of Delaware claiming that Apple infringed on 10 of its patents related to wireless communication including data transfer. Apple was quick to respond with a countersuit filed in December 2009 accusing Nokia of 11 patent infringements. Apple's general counsel, Bruce Sewell went a step further by stating, "Other companies must compete with us by inventing their own technologies, not just by stealing ours." This resulted in a legal battle between the two telecom majors with Nokia filing another suit, this time with the U.S. International Trade Commission (ITC), alleging Apple of infringing its patents in "virtually all of its mobile phones, portable music players and computers". Nokia went on to ask the court to ban all U.S. imports of the Apple products, including the iPhone, Macintosh and iPod. Apple countersued by filing a complaint with the ITC in January 2010. In June 2011, Apple settled with Nokia and agreed to an estimated one time payment of $600 million and royalties to Nokia. The two companies also agreed on a cross-licensing patents for some of their patented technologies. Nokia's Indian subsidiary has been charged in January 2013 with non-payment of TDS and transgressing transfer pricing norms in India. The unpaid TDS of ₹30 billion, accrued during a course of six years, was due to royalty paid by the Indian subsidiary to its parent company. Jolla – a company started by former Nokia employees which develops Linux Sailfish OS, a continuation of Linux MeeGo OS. Twig Com – originally Benefon, a historical mobile phone manufacturer started by former Nokia people. Microsoft Mobile – The re-branding of Nokia Device and Services division after acquired by Microsoft. HMD Global - The post-Microsoft continuation of Nokia-branded devices. ^ a b "Nokia" (in Finnish). YTJ.fi. Archived from the original on 10 May 2013. Retrieved 2 March 2013. ^ a b "Report for Q4 and Full Year 2017" (PDF). Nokia Corporation. 1 February 2018. Retrieved 3 February 2018. ^ a b c "Nokia – FAQ". Nokia Corporation. Archived from the original on 8 February 2009. Retrieved 16 March 2009. ^ "Fortune Global 500 (100) - 2009 (Fortune ) - Ranking The Brands". Rankingthebrands.com. Retrieved 28 March 2019. ^ "Global 500 2016". Fortune. 2017. Retrieved 24 August 2017. ^ ""Euro Stoxx 50"". Boerse-frankfurt.de. Retrieved 24 August 2017. ^ a b "This is the new Nokia". The Verge. Retrieved 23 November 2014. ^ "Microsoft buys Nokia's Devices and Services Unit, unites Windows Phone 8 and its hardware maker". The Verge. Retrieved 3 September 2013. ^ "Microsoft closes Nokia deal, pays more than expected". CNET. ^ Coupland, Douglas. "The Ghost of Invention: A Visit to Bell Labs". Wired.com. ^ "How Nokia reinvented itself". CNNMoney Switzerland. Retrieved 28 March 2019. ^ "Nokia celebrates first day of combined operations with Alcatel-Lucent". Nokia. Archived from the original on 16 January 2016. Retrieved 15 January 2016. ^ "Nokia plans to acquire Withings to accelerate entry into Digital Health". 26 April 2016. Archived from the original on 19 May 2016. Retrieved 1 June 2016. ^ Best, Jo. "'Mobile phones are our history, not our future': Nokia on where next for hardware". Zdnet.com. Retrieved 28 March 2019. ^ "Microsoft sells Nokia brand use to Foxconn and HMD global". SlashGear. Retrieved 16 May 2017. ^ "Nokia's key to success: A strong portfolio combined with aggressive licensing - Filing Analytics". Filinganalytics.io. Retrieved 28 March 2019. ^ "Ericsson, Samsung gain share in network gear as ZTE slumps". Uk.reuters.com. 23 August 2018. Retrieved 28 March 2019. ^ Vilpponen, Antti (4 September 2013). "Nokia: Finland mourns the demise of its proud tech heritage". The Guardian. ^ Kelly, Gordon. "Finland and Nokia: an affair to remember". ^ Bloomberg (4 September 2013). "Finland mourns loss of national icon Nokia". ^ "Start01". Gasmasklexikon.com. Retrieved 23 November 2016. ^ "U.S. Threatened to Block Finnish Arms Deal Over High-Tech Exports in 1980's". ^ Reuters (21 January 1988). "COMPANY NEWS; Nokia Oy Buys Stake in Ericsson". The New York Times. ISSN 0362-4331. Retrieved 14 August 2017. ^ "Nokia's Secret Code Perhaps the least hierarchical big company in the world, Nokia has been winning big in wireless. But its Finnish recipe for innovation is about to be put to the test. - May 1, 2000". Archive.fortune.com. ^ "Nokia´s Pioneering GSM Research and Development to be Awarded by Eduard Rhein Foundation". Nokia. ^ "Nokia Announces Heads of Agreement to Sell Its Remaining Television Business". Nokia. ^ "Nokia Announces Final Sale of its Television Manufacturing Business". Nokia. ^ "Nokia First to Launch Digital Satellite Receiver in The UK". Nokia. ^ "Nokia launches the World's first Digital IRD With 'Common Interface'". Nokia. ^ "Nokia is chosen supplier to British Digital Broadcasting". Nokia. ^ "Nokia to invest about FIM 1 billion in mobile phone production in Bochum, Germany". Nokia. ^ "Nokia manufactures its 100 millionth mobile phone". Nokia. ^ Oremus, Will (20 September 2016). "The 1999 Handset That Finally Made Cellphones Cool". Slate Magazine. Retrieved 28 March 2019. ^ "Mobile phone history". Mobilephonehistory.co.uk. Retrieved 28 March 2019. ^ "Nokia fashion phones". Mobilephonehistory.co.uk. Retrieved 28 March 2019. ^ "Nokia Builds on "Media-Ready" Monitor Series with New 21" Line". Nokia. ^ "Nokia to move wireless LAN products toward mass market". Nokia. ^ "ViewSonic Corporation Acquires Nokia Display Products' Branded Business". Nokia. ^ "Nokia to supply Telefónica with ADSL modems in Spain". Nokia. ^ "Nokia to acquire Psion plc's shares in Symbian". Nokia. ^ "Nokia to acquire Symbian Limited to enable evolution of the leading open mobile platform". Nokia. ^ "Nokia supplies WAP technology to Thus in UK". Nokia. ^ "Nokia: 'Best is yet to come'". News.bbc.co.uk. 5 December 2000. Retrieved 28 March 2019. ^ Silberman, Steve (1 September 1999). "Just Say Nokia". Wired.com. Retrieved 28 March 2019. ^ Monaghan, Angela (3 September 2013). "Nokia: the rise and fall of a mobile phone giant". Theguardian.com. Retrieved 28 March 2019. ^ "Nokia and Carl Zeiss join forces to offer enhanced imaging for camera phone users". Nokia. ^ "Nokia launches Nokia Nseries branded multimedia device range". Nokia. ^ "Nokia N95 Wins Prestigious TIPA Award 2007". Nokia. ^ "It's what cameras have become - the new Nokia N82". Nokia. ^ "Nokia N82 wins renowned TIPA "Best Mobile Imaging Device in Europe" Award 2008". Nokia. ^ "Nokia Introduces the Next Story in Video with the Nokia N93". Nokia. ^ "New Nokia Lumia Range Delivers Latest PureView Camera Innovation, New Navigation Experiences and Wireless Charging on Windows Phone 8". Nokia. ^ "Nokia N-Gage (TM) mobile game deck - the revolutionary gaming experience". Nokia. ^ "Nokia's Ilkka slams Game Boy Advance". 12 June 2003. ^ "Get out and play - with N-Gage games in your Nokia device". Nokia. ^ Milner, Mark (17 April 2004). "Nokia losing market share". Theguardian.com. Retrieved 28 March 2019. ^ Schofield, Jack (27 November 2007). "Nokia increases market share in mobile phone business". Theguardian.com. Retrieved 28 March 2019. ^ "Nokia and Motorola gain market share as arena grows - Technology & Media - International Herald Tribune". Nytimes.com. 22 November 2006. Retrieved 28 March 2019. ^ tweet_btn(), Tony Smith 24 Jan 2008 at 14:29. "Nokia grabs 40% of phone market for first time". Theregister.co.uk. Retrieved 28 March 2019. ^ "Report: Nokia's smartphone market share dropping". FierceWireless. Retrieved 28 March 2019. ^ Tofel, Kevin C. (11 March 2009). "Winners and Loser in the Smartphone Market: Q4 2008". Gigaom.com. Retrieved 28 March 2019. ^ "Live Mobile TV broadcasts for the first time at an international sporting event". Nokia. ^ "Mobile TV trial goes live in UK". Nokia. ^ "Nokia moves forward with management succession plan". Nokia. ^ "Meet Ovi, the door to Nokia's Internet services". Nokia. ^ "84 percent of Nokia Ovi store app developers say Apple's store is better". VentureBeat. ^ "Nokia to end phone sales in Japan". News.bbc.co.uk. 27 November 2008. ^ Wood, David; West, Joel (11 June 2013). Evolving an Open Ecosystem: The Rise and Fall of the Symbian Platform. Emerald Group Publishing. p. 35. ISBN 978-1-78190-826-6. ^ tweet_btn(), Austin Modine 31 Oct 2008 at 22:15. "Nokia's Trolltech Qt Software previews cross-platform IDE". Theregister.co.uk. Retrieved 28 March 2019. ^ Halliday, Josh; agencies (9 August 2012). "Nokia sells its Qt software business". Theguardian.com. Retrieved 28 March 2019. ^ a b Andrew Orlowski 2 Aug 2011 at 13:18 tweet_btn(). "Nokia ditches letters for all-number names". Theregister.co.uk. Retrieved 28 March 2019. ^ "Nokia N8. Connect. Create. Entertain". Nokia. ^ "Nokia delays flagship N8 again". Reuters.com. 21 September 2010. ^ Wearden, Graeme (10 September 2010). "Nokia replaces Kallasvuo with Microsoft's Elop". The Guardian. ^ "Subscribe to read". Financial Times. Retrieved 28 March 2019. ^ "Nokia Board Chair Jorma Ollila reveals plans to step down in 2012". SlashGear.com. 13 September 2010. Retrieved 28 March 2019. ^ "Nokia pays big bucks for Elop: Former Microsoft executive receives $6M signing bonus". GeekWire. 11 March 2011. Retrieved 11 March 2011. ^ "Symbian OS Now Fully Open Source". PCWorld. ^ "Nokia reaffirms commitment to Symbian platform". Nokia. ^ "Will Nokia build Windows phones?". Venturebeat.com. 23 September 2010. Retrieved 28 March 2019. ^ "Anssi Vanjoki on quitting Nokia: 'I didn't become the CEO. It is as simple as that'". Engadget.com. Retrieved 28 March 2019. ^ "Nokia World 2010 live coverage: Nokia E7, C7, C6, N8, C3". GSMArena.com. Retrieved 28 March 2019. ^ "Nokia and Microsoft form partnership". BBC News. 11 February 2011. Retrieved 16 December 2018. ^ Weintraub, Seth (8 February 2011). "Nokia's Elop drops bomb: the platform is on fire". CNN. Retrieved 14 June 2013. ^ Latest Video (1 June 2011). "Nokia CEO Stephen Elop Chooses Microsoft Windows Phone OS Over Android - John Paczkowski - D9". AllThingsD. Retrieved 14 June 2013. ^ Technica, Ars (24 June 2011). "Why Nokia's N9 Smartphone Is Set Up for Failure". Wired.com. Retrieved 28 March 2019. ^ Savov, Vlad (9 May 2013). "Nokia hedges its commitment to Windows Phone with new Asha platform and $99 phone". The Verge. Retrieved 28 March 2019. ^ Cord, David J. (April 2014). The Decline and Fall of Nokia. Schildts & Söderströms. p. 217. ISBN 978-951-52-3320-2. ^ Andrew Orlowski 21 Jul 2011 at 13:29 tweet_btn(). "Nokia posts massive loss, blames 'ambiguity'". Theregister.co.uk. Retrieved 28 March 2019. ^ Bofah, Kofi (9 July 2012). "Nokia Is Finnished: Prepare For Bankruptcy". Seekingalpha.com. Retrieved 1 June 2016. ^ "And Now Nokia Has A New Problem -- It Might Go Bankrupt". Business Insider. Retrieved 1 June 2016. ^ "Foundering Nokia pushes 10,000 bods, 3 veeps overboard". Theregister.co.uk. ^ "Finnish Government Hangs Up on Nokia". Wired.com. ^ Andrew Orlowski 5 Oct 2011 at 17:25 tweet_btn(). "Meltemi is real – Nokia's skunkworks Linux". Theregister.co.uk. Retrieved 28 March 2019. ^ TechCrunch (30 October 2011). "Nokia: A Look At The Global Battle Over Mobile Advertising". Seeking Alpha. Retrieved 28 March 2019. ^ "Why Nokia can't crack the U.S. market - Sep. 16, 2010". Money.cnn.com. Retrieved 28 March 2019. ^ "CES: Nokia looks to crack US market with Lumia 900 - V3". V3.co.uk. 10 January 2012. Retrieved 28 March 2019. ^ Koh, Damian. "Nokia unveils new typeface, Pure". CNET. Retrieved 28 March 2019. ^ H, Victor. "Nokia changes its naming system again: goes back to pure numbers". Phone Arena. Retrieved 28 March 2019. ^ "Video: Stephen Elop interviewed by YLE on Positive Nokia Lumia 920 feedback". My Nokia Blog. 18 December 2012. ^ "Nokia Lumia Sales Strong, Asha Stronger". InformationWeek. ^ "Nokia Had A Stunning Q3 In North America, With Device Volume Up 367% From Last Year". Social.techcrunch.com. Retrieved 28 March 2019. ^ "Nokia shares fall after sales drop". Bbc.co.uk. 18 April 2013. ^ "Jorma Ollila resigns as Nokia chairman after 13 years". Bangkokpost.com. Retrieved 28 March 2019. ^ "Microsoft to acquire Nokia's Devices & Services business, license Nokia's patents and mapping services". Nokia. ^ "The acquisition of Nokia: Steve Ballmer's last hurrah?". ^ a b "Operation Elop". Asokan.org. Retrieved 28 March 2019. ^ a b "Jorma Ollila brought Nokia great success. But did he also bring the company down? The former phone giant's current chairman Risto Siilasmaa tells us what he witnessed". Helsingin Sanomat. 28 September 2018. Retrieved 28 March 2019. ^ "Why Microsoft really bought Nokia". BetaNews.com. Retrieved 28 March 2019. ^ Carlson, Nicholas. "Analysts: Microsoft Bought Nokia Because Nokia Was Going To Stop Making Windows Phones". Business Insider. Retrieved 28 March 2019. ^ Worstall, Tim. "Nokia Was Developing An Android Phone Before The Microsoft Purchase". Forbes.com. Retrieved 28 March 2019. ^ Warren, Tom (25 February 2014). "Why is Nokia making Android phones?". The Verge. Retrieved 28 March 2019. ^ Warren, Tom (24 February 2014). "This is Nokia X: Android and Windows Phone collide". The Verge. Retrieved 28 March 2019. ^ Thurrottfeed (25 September 2017). "Satya Nadella Admits He Was Against Nokia Acquisition". Thurrott.com. Retrieved 28 March 2019. ^ "Gates and Nadella opposed Microsoft's Nokia acquisition". Alphr. Retrieved 28 March 2019. ^ Weinberger, Matt. "Microsoft CEO Satya Nadella says he voted against Steve Ballmer's $7.6 billion Nokia mistake". Business Insider. Retrieved 28 March 2019. ^ "Best Global Brands - 2014 (Interbrand) - Ranking The Brands". Rankingthebrands.com. ^ "Best Global Brands - 2009 (Interbrand) - Ranking The Brands". Rankingthebrands.com. ^ Kim, Ryan (11 February 2011). "What the Web Is Saying: Nokia Partners With Microsoft". Gigaom.com. Retrieved 28 March 2019. ^ Troianovski, Anton; Grundberg, Sven (19 July 2012). "Nokia's Bad Call on Smartphones". Wsj.com. Retrieved 28 March 2019. ^ "Apple Vs. Nokia: The Smartphone Rivalry". Theglobalist.com. 9 August 2010. Retrieved 28 March 2019. ^ "The Strategic Decisions That Caused Nokia's Failure". INSEAD Knowledge. 23 November 2017. Retrieved 28 March 2019. ^ "Nokia Bureaucracy Stifled Innovation, Ex-Managers Say". HuffPost UK. 27 November 2010. Retrieved 28 March 2019. ^ "Nokia has a "Soviet-like" bureaucracy that stifles innovation". Geek.com. 28 September 2010. Retrieved 28 March 2019. ^ "Nokia buys out, renames Nokia Siemens Networks". Pcworld.com. Retrieved 1 June 2016. ^ "Nokia renames NSN as Networks - TeleAnalysis". Teleanalysis.com. Archived from the original on 4 June 2016. Retrieved 1 June 2016. ^ Souppouris, Aaron (24 January 2013). "Nokia finally reports profit after six quarters of losses". Theverge.com. Retrieved 1 June 2016. ^ "Nokia To Focus On Here Maps And Network Equipment After Microsoft Sale". Techweekeurope.co.uk. 7 October 2013. Retrieved 1 June 2016. ^ "Nokia, China Mobile sign $970 million framework deal" (Press release). Reuters. 10 October 2014. ^ "Nokia looks to resurrect its valuable brand on future devices". The Verge. Retrieved 18 November 2014. ^ "Nokia's first device after Microsoft is an iPad mini clone that runs Android". The Verge. Retrieved 18 November 2014. ^ "Nokia CEO says the company will design and license phones again". Engadget. Retrieved 3 August 2015. ^ "Other statements". Nokia. Archived from the original on 2 June 2015. Retrieved 20 November 2015. ^ "Back to the future: Nokia prepares for mobile comeback". Reuters. 10 August 2015. Retrieved 20 November 2015. ^ "Nokia: We'll return to the mobile phone market in 2016 - TheINQUIRER". Theinquirer.net. Retrieved 1 June 2016. ^ Newton, Casey (29 July 2015). "Nokia reveals Ozo, a futuristic new camera for filming virtual reality". Theverge.com. Retrieved 1 June 2016. ^ "Nokia makes comeback with OZO virtual reality camera". Wired.co.uk. Retrieved 1 June 2016. ^ Schroeder, Stan. "Nokia's $60,000 virtual reality camera is now available for pre-order". Mashable.com. Retrieved 1 June 2016. ^ "Nokia drops the price of its Ozo virtual reality camera by $15K". Digital Trends. 18 August 2016. Retrieved 22 May 2017. ^ "Nokia OZO | Buy OZO online from the official Nokia store". Nokia. Archived from the original on 18 March 2017. Retrieved 22 May 2017. ^ a b Byford, Sam. "Nokia agrees to buy Alcatel-Lucent for $16.6 billion". The Verge. Retrieved 15 April 2015. ^ "Alcatel acquisition will boost 5G plans, says Nokia CEO". IBNLive. Retrieved 20 November 2015. ^ Simnikiwe Mzekandaba, iTWeb. "Nokia, Alcatel-Lucent deal nears completion." 23 November 2015. 30 November 2015. ^ Editorial. "Ericsson reports fifth straight quarter in the red". Reuters U.K. Retrieved 31 January 2018. The company faces mounting competition from China’s Huawei and Finland’s Nokia as well as weak emerging markets and falling spending by telecoms operators for which purchases of next-generation 5G technology are still years away. ^ Simon Zekaria and Ryan Knutson, The Wall Street Journal. "Merger of Nokia With Alcatel-Lucent Could Put Pressure on Prices." 14 April 2015. Retrieved 29 January 2016. ^ Daniel Thomas, Financial Times. "Nokia-Alcatel Lucent deal wins approval of Chinese regulator." 19 October 2015. 19 October 2015. ^ "Alcatel's strategic undersea cables unit to be swallowed by Nokia". Reuters. 7 October 2015. Retrieved 20 November 2015. ^ Peter Dinham, iTWire. "Nokia, Alcatel-Lucent acquisition closes." 18 January 2016. Retrieved 29 January 2016. ^ "Nokia sells Here maps business to carmakers Audi, BMW and Daimler". CNET. Retrieved 3 August 2015. ^ Lunden, Ingrid. "Nokia Closes Its $2.8B Sale Of Here To The Audi, BMW And Daimler Car Consortium". TechCrunch. Retrieved 1 June 2016. ^ By Matthias Verbergt and Sam Schechner, The Wall Street Journal. "Nokia Has Designs on a Healthier Future With Purchase of Fitness Gadgets Startup." 26 April 2016. Retrieved 27 April 2016. ^ Falcone, John (31 May 2015). "It's official: Nokia owns Withings". CNET. Retrieved 1 June 2016. ^ O'Brien, Chris (31 May 2018). "Withings cofounder Éric Carreel finalizes deal to regain control from Nokia". =VentureBeat.com. Retrieved 23 October 2018. ^ "Microsoft sells Nokia feature phones business". BBC News. Retrieved 2 May 2017. ^ "Nokia 6 Announced: Qualcomm Snapdragon 430, 5.5-Inch Display Android 7". Anandtech. Retrieved 2 May 2017. ^ "Report: HMD to resurrect legendary Nokia 3310 at Mobile World Congress". Ars Technica. Retrieved 2 May 2017. ^ James Titcomb (18 February 2017). "Nokia 3310 relaunch: Why we still love the phone that defined the Nokia era". The Telegraph. Retrieved 8 March 2017. ^ "Nokia demonstrates world's first 5G-ready network". Nokia. ^ "Nokia carries out 5G connection using 5GTF standards". 15 February 2017. ^ "Nokia and Xiaomi sign business cooperation and patent agreements". 5 July 2017. Retrieved 5 July 2017. ^ "Nokia jumps from 335th to 188th place on Brand Finance list for 2017". Nokiamob.net. 1 February 2018. ^ "Nokia signs its first official 5G equipment deal with NTT DoCoMo". Reuters.com. ^ Tung, Liam. "Nokia's new ReefShark chipset aims to deliver big 5G performance boost - ZDNet". Zdnet.com. ^ Scott, Bicheno, (29 January 2018). "Nokia uses its silicon secret sauce to make new ReefShark chipsets". Telecoms.com. ^ "Nokia launches ReefShark chipsets that deliver massive performance gain in 5G networks - Nokia". Nokia.com. ^ "Finnish government acquires stake in Nokia". TechRadar. Retrieved 24 March 2018. ^ Auchard, Eric. "Nokia acquires U.S. software supplier SpaceTime Insight". U.S. Retrieved 7 May 2018. ^ Blatchford, Andy (24 January 2019). "Canada strikes 5G wireless research deal with Nokia". The Globe and Mail. Retrieved 27 January 2019. ^ Kapanen, Ari (24 July 2007). "Ulkomaalaiset valtaavat pörssiyhtiöitä" (in Finnish). Taloussanomat. Retrieved 14 May 2008. ^ "Nokia is no longer Finland's most valuable company". phonearena.com. 4 April 2012. ^ Ali-Yrkkö, Jyrki (2001). "The role of Nokia in the Finnish Economy" (PDF). ETLA (The Research Institute of the Finnish Economy). Archived from the original (PDF) on 24 October 2007. Retrieved 21 March 2009. ^ Ali-Yrkkö, Jyrki (2010). "NOKIA AND FINLAND IN A SEA OF CHANGE" (PDF). ETLA – Research Institute of the Finnish Economy. Archived from the original (PDF) on 25 April 2012. Retrieved 12 November 2011. ^ "Trump team idea to nationalize 5G network to counter China is rejected". Reuters. 29 January 2018 – via Reuters. The rules for 5G networks are still being worked out by industry players. The work has been complicated by an effective ban in the United States on two of the largest firms, Chinese suppliers Huawei Technologies Co Ltd [HWT.UL] and ZTE Corp since a 2012 investigation over links to potential Chinese spying, something the companies have denied. ^ "Nokia Siemens Networks Fact Sheet" (PDF). Nokia Siemens Networks. Archived from the original (PDF) on 18 July 2007. Retrieved 9 July 2007. ^ "Structure". Nokia Corporation. 1 October 2009. Archived from the original on 8 October 2009. Retrieved 28 December 2009. ^ "The Wave of the Future". Brand New: Opinions on Corporate and Brand Identity Work. UnderConsideration LLC. 25 March 2007. Retrieved 14 May 2008. "Reviews – 2007 – Nokia Siemens Networks". Identityworks. 2007. Archived from the original on 6 August 2013. Retrieved 14 May 2008. ^ Juhana Rossi (1 July 2013). "Nokia Pays $2.21 Billion for Siemens Stake in NSN". Wall Street Journal. Retrieved 18 December 2013. ^ Tom Warren (18 November 2014). "Nokia's first device after Microsoft is an iPad mini clone that runs Android". The Verge. Retrieved 18 March 2015. ^ "Nokia OZO | Discover | For the best VR production experience". Nokia. Archived from the original on 10 June 2016. Retrieved 8 February 2017. ^ "Nokia OZO | Blog". Nokia. Retrieved 8 February 2017. ^ Reuters. "Head of Technologies unit to leave Nokia." 31 August 2016. Retrieved 2 September 2016. ^ "Brad Rodrigues, Interim President of Nokia Technologies". Nokia. Retrieved 22 May 2017. ^ "The new President of Nokia Technologies is Gregory Lee, former CEO at Samsung". Phonearena.com. ^ Natasha Lomas (29 January 2013). "Nokia Growth Partners Launches Third Fund Backed By $250M From Nokia, Expands In China". Tech Crunch. Retrieved 22 October 2014. ^ "Nokia Growth Partners raises USD 350 million investment fund for investments in Internet of Things - Nokia". Nokia.com. ^ "Nokia Venture Partners Becomes Bluerun Ventures; Announces 1st Closing Of $350 Million Fund - Nokia". Nokia.com. ^ "Introducing NGP Capital". NGP Capital. Retrieved 2 December 2017. ^ Duffy, Jim. "Is Nuage really key to Nokia?". Networkworld.com. ^ "Nuage Networks Gets Some Love From Nokia". Sdxcentral.com. ^ Scott, Bicheno, (10 May 2017). "Nokia's Nuage Networks scores Telefónica SD-WAN win". Telecoms.com. 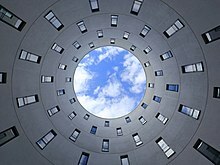 ^ "Vodafone signs Nokia's Nuage Networks to boost SD-WAN efforts". Rcrwireless.com. 14 March 2017. ^ "Nuage Networks to Contribute Technology for BT's future SD-WAN Services - Nuage Networks". Nuagenetwroks.net. 10 November 2016. ^ "China Mobile Picks Nuage Networks SDN for Public Cloud". Sdxcentral.com. ^ "Nuage Networks Wins SDN Deal with Large Chinese Enterprise". Sdxcentral.com. ^ "Management Team - Nuage Networks". Nuagenetworks.net. ^ "Nokia's new Android smartphone has been unveiled". The Verge. Retrieved 13 March 2018. ^ "Meet HMD Global, the Team Bringing Nokia Phones Back". NDTV Gadgets360.com. Retrieved 13 March 2018. ^ "Ekinops acknowledges talks with Nokia on possible purchase of Alcatel Submarine Networks". Lightwaveonline.com. Retrieved 23 October 2018. ^ "Submarine Network Solutions". Nokia Networks. 27 January 2013. Retrieved 23 October 2018. ^ a b "Nokia Group Leadership Team". Nokia Corporation. May 2015. Archived from the original on 1 May 2014. Retrieved 1 April 2015. ^ a b "Meet the Board". Nokia Corporation. 2015. Archived from the original on 4 May 2014. Retrieved 1 April 2015. ^ "Audit Committee Charter at Nokia" (PDF). Nokia Corporation. 2007. Archived from the original (PDF) on 28 May 2008. Retrieved 14 May 2008. ^ "Personnel Committee Charter at Nokia" (PDF). Nokia Corporation. 2007. Archived from the original (PDF) on 28 May 2008. Retrieved 14 May 2008. ^ "Corporate Governance and Nomination Committee Charter at Nokia" (PDF). Nokia Corporation. 2008. Archived from the original (PDF) on 28 May 2008. Retrieved 14 May 2008. ^ "Committees of the Board". Nokia Corporation. May 2007. Retrieved 14 May 2008. ^ Virkkunen, Johannes (29 September 2006). "New Finnish Companies Act designed to increase Finland's competitiveness" (PDF). LMR Attorneys Ltd. (Luostarinen Mettälä Räikkönen). Retrieved 14 May 2008. ^ "Articles of Association of Nokia Corporation" (PDF). Nokia Corporation. Archived from the original (PDF) on 26 June 2015. Retrieved 26 June 2015. ^ "Corporate Governance Guidelines at Nokia" (PDF). Nokia Corporation. 2006. Archived from the original (PDF) on 28 May 2008. Retrieved 14 May 2008. ^ "Suomalaisten yritysten ylin johto" (in Finnish). Retrieved 20 March 2009. ^ a b c "Nokia – Towards Telecommunications" (PDF). Nokia Corporation. August 2000. Archived from the original (PDF) on 10 July 2009. Retrieved 5 June 2008. ^ "Nokia applies for delisting from the Frankfurt Stock Exchange". marketwired.com. 24 November 2011. Retrieved 24 November 2017. ^ "Nokia announces settlement of its public exchange offer for Alcatel-Lucent securities, the registration of new shares and its inclusion in the CAC 40 index". Globenewswire.com. Retrieved 1 June 2016. ^ a b "Nokia Way and values". Nokia Corporation. Archived from the original on 13 May 2008. Retrieved 14 May 2008. ^ "New Old Nokia Values". 25 September 2014. ^ "Nokia House now has Microsoft Branding". UnleashThePhones. Archived from the original on 25 May 2014. ^ "Contact". Nokia. Archived from the original on 25 March 2015. Retrieved 18 March 2015. ^ "Leading Lights 2018: The Winners". Light Reading. Retrieved 30 May 2018. ^ "Ethisphere Institute Announces 135 Companies Honored as World's Most Ethical Companies". Ethisphere® Institute. Retrieved 30 May 2018. ^ "21 Logo Evolutions of the World's Well Known Logo Designs". BoredPanda. Retrieved 30 November 2015. ^ Bonsdorff, Lars G. von (1965). Nokia Osakeyhtiö 1865-1965. Nokia Osakeyhtiö - Nokia Aktiebolag. ^ "HS Archives" (in Finnish). Helsingin Sanomat. 1 June 2003. Retrieved 14 May 2008. ^ "NOKIA |Connecting People 1992 Vector Logo (AI EPS)". HDicon.com. Retrieved 17 October 2010. ^ "NOKIA |Connecting People new Vector Logo (AI EPS)". HDicon.com. Retrieved 17 October 2010. ^ Cellan-Jones, Rory (22 June 2009). "Hi-tech helps Iranian monitoring". BBC News. Retrieved 14 July 2009. ^ "Iran's Web Spying Aided By Western Technology". YaleGlobal Online. Retrieved 22 May 2017. ^ Rhoads, Christopher; Chao, Loretta (22 June 2009). "Iran's Web Spying Aided By Western Technology". The Wall Street Journal. Dow Jones & Company, Inc. pp. A1. Retrieved 14 July 2009. ^ Kamali Dehghan, Saeed (14 July 2009). "Iranian consumers boycott Nokia for 'collaboration'". The Guardian. London. Retrieved 27 July 2009. ^ "Provision of Lawful Intercept capability in Iran" (Press release). Nokia Siemens Networks. 22 June 2009. Archived from the original on 25 June 2009. Retrieved 14 July 2009. ^ Ozimek, John (6 March 2009). "'Lex Nokia' company snoop law passes in Finland". The Register. Retrieved 27 July 2009. ^ "Nokia Denies Threat to Leave Finland". cellular-news. 1 February 2009. Retrieved 27 July 2009. ^ a b Virki, Tarmo (18 January 2010). "SCENARIOS-What lies ahead in Nokia vs Apple legal battle". Reuters. Retrieved 25 January 2010. ^ "The war of the Smartphones: Nokia's new patent suit against Apple". Snartphone Reviews. 6 January 2010. Archived from the original on 9 July 2015. Retrieved 25 January 2010. ^ "Nokia's Patent Settlement With Apple Won't Help Much". 14 June 2011. Retrieved 29 June 2011. ^ Smith, Catharine (14 June 2011). "Apple Settles With Nokia in Patent Lawsuit". The Huffington Post. Retrieved 29 June 2011. ^ ben-Aaron, Diana; Pohjanpalo, Kati (14 June 2011). "Nokia Wins Apple Patent-License Deal Cash, Settles Lawsuits". Bloomberg L.P. Retrieved 29 June 2011. ^ "Income Tax department asks Nokia to pay Rs 13,000 crore". Economic Times. 31 January 2013. Retrieved 31 January 2013. T. E. Raja Simhan (16 January 2013). "Nokia tax case: IT officials grill Price Waterhouse". Chennai: Business Line. Retrieved 31 January 2013. ^ "Nokia suspected of flouting transfer pricing rules too". Business Line. Retrieved 31 January 2013.